Cherry Esplanade at Brooklyn Botanic Garden. Photo by Liz Ligon. Courtesy of Brooklyn Botanic Garden. Visiting NYC in the spring? Check out the cherry blossom blooms around town. 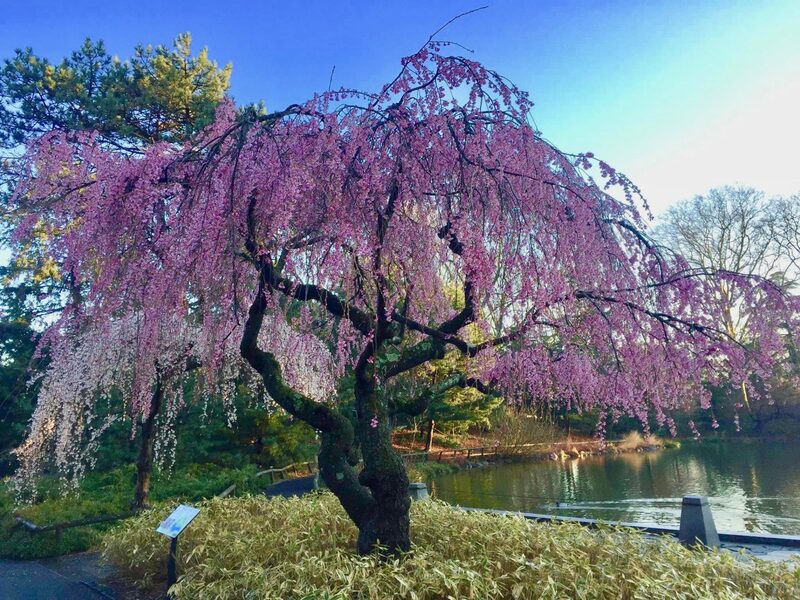 Here’s 2019 info for the annual Sakura Matsuri festival at the Brooklyn Botanic Garden, plus FREE pretty in pink locations too! Bring the kids and your camera! Want More Insider Info on Cherry Blossoms? The Japanese call it hanami – the peaceful contemplation of the annual spring bloom of cherry trees. And hanami, like fall leaf peeping in New England, is a good reason to travel. Popular US viewing destinations include the Tidal Basin in Washington D.C., Philadelphia’s Horticulture Center and the International Cherry Blossom Festival in Macon, GA. But NYC is a great place to see and celebrate cherry blossom blooms too. New York hosts popular festivals during the peak bloom time, usually the 3rd week in April. Here’s a guide to the best locations around town. Many are free, so they’re an excellent option for travelers on a budget. 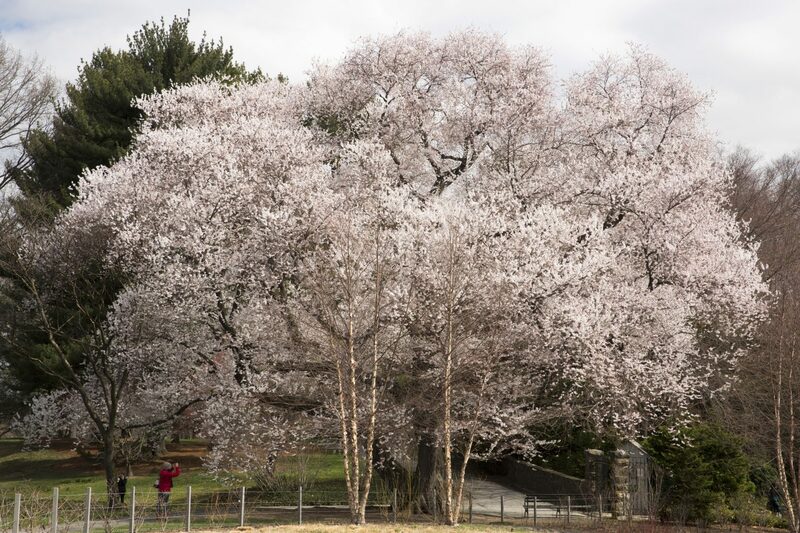 If cherry trees could talk, they’d scream “Look at ME!” Photo Credit: Courtesy of The New York Botanical Garden. The Brooklyn Botanic Garden hosts an annual weekend-long Sakura Matsuri festival, celebrating Japanese culture. The 2019 festival dates are April 27 and 28. If Mother Nature cooperates, the Garden’s Cherry Esplanade will be in full bloom. 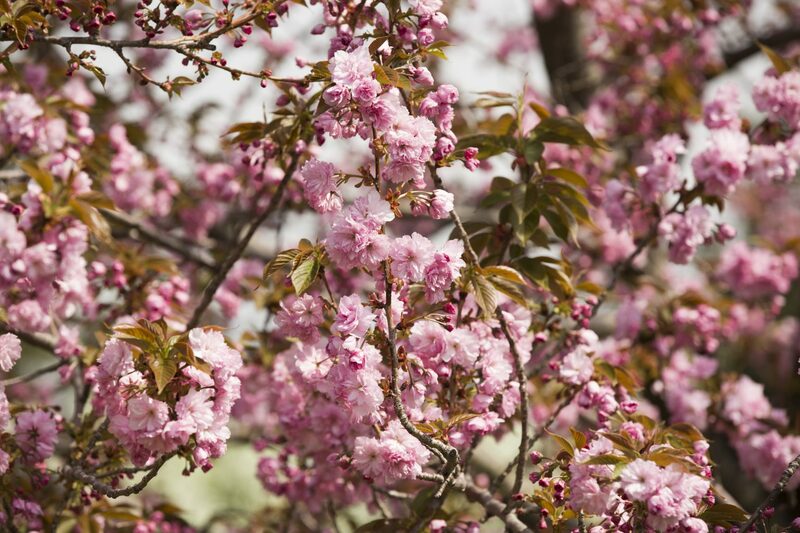 An online Cherry Watch will help you track the progress of the blossoms. TravelingMom Tip: Arrive early in the day or late in the afternoon (last admission is at 5:30 p.m.) to avoid crowds. Admission is free for members and children under 12. Adults are $30 with discounts for seniors and students. Construction projects are ongoing at the Brooklyn Botanic Garden. So check the website to get the latest information about what’s closed. The Cherry Esplanade in full bloom at the Brooklyn Botanic Garden. Photo Credit: Rebecca Bullene. Courtesy of Brooklyn Botanic Garden. 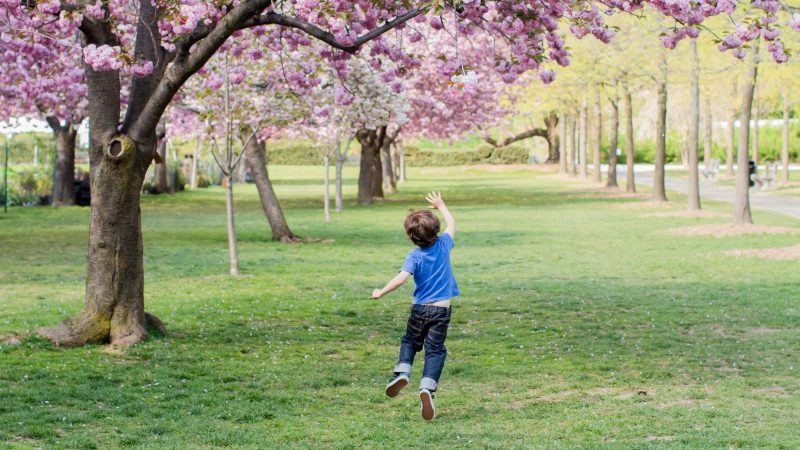 The Randall’s Island Park Alliance hosts a Saturday cherry blossom festival with craft activities for kids. Traditional Japanese food is available at the FREE Saturday Roosevelt Island Cherry Blossom Festival. Enjoy a live taiko drum performance at the Sakura Matsuri Cherry Blossom Festival in Flushing Meadows Corona Park in Queens. Located in the Bronx near the Zoo and famously delicious Arthur Avenue, The New York Botanical Garden (NYBG) is worth a visit any time of the year. But in spring, the gardens and conservatory are truly a delight. Why? Because cherry blossom season coincides with the NYBG annual Orchid Show. The 2019 dates are Saturday, February 23, 2019 – Sunday, April 28, 2019. This year’s exhibit celebrates the orchid-loving culture of Singapore. The NYBG grounds feature over 200 cherry trees. Called sakura in Japan, cherry trees come in different varieties including yoshino and kwanzan. The NYBG showstoppers are the weeping cherries planted in front of the iconic Enid A. Haupt Conservatory. 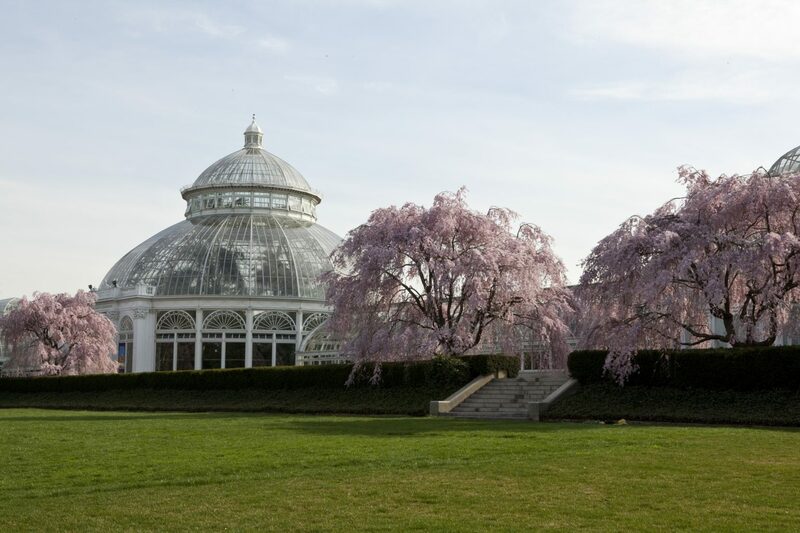 Plan your visit to the New York Botanical Garden using their Cherry Tracker. Weeping cherry trees look like delicately old fashioned ballgowns. Photo Credit: Courtesy of The New York Botanical Garden. New York’s Central Park in spring is a wonderful place to visit. The first warm days are perfect for exploring its 840 acres, 21 playgrounds, the vintage carousel and family-friendly zoo. The Park’s Shakespeare Garden (West Side from 79th to 80th Street) is planted with a bountiful number of spring bulbs in addition to flowering cherry trees. It’s a visual treat that rivals the masterpieces hanging at the Met. TravelingMom Tip: If you are visiting NYC with teens struggling with Shakespeare sonnets and plays, reading the 10 plaques featuring some of the author’s famous flower quotes might help them understand the Bard. 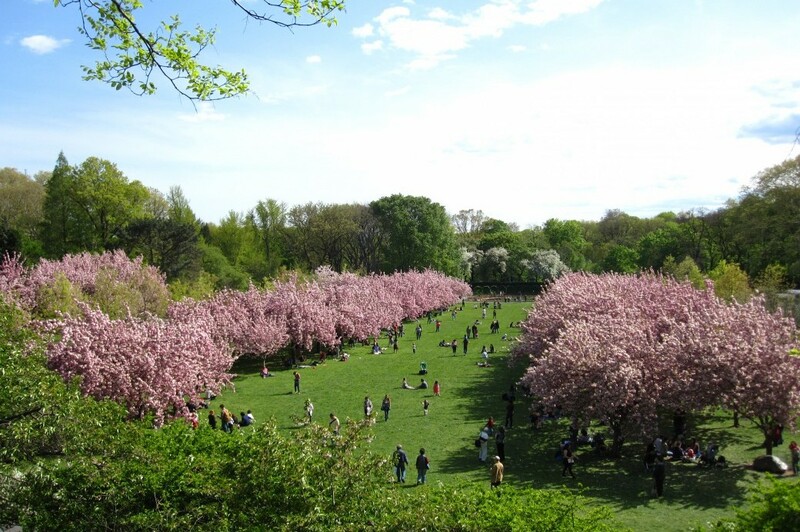 If you’d like to know more about Central Park cherry blossom tours, the Central Park Conservancy conducts guided Cherry Blossoms Tours on select dates in April. Tickets are $15 for non-members. Check out the handy Central Park Bloom Guide to follow the flowers in the park. Want to get some exercise while you’re checking out NYC’s cherry blossoms? Then head to Riverside Park. Sited along the Hudson River on the Upper West Side of Manhattan, Riverside Park features a 4-mile long path. The section between 100th and 125th Streets is called the Cherry Walk. Many of these trees were part of the same batch of trees planted at the Tidal Basin in Washington D.C.. They were presented as a gift in 1912 by the Committee of Japanese Residents of New York. Talk about a gift that keeps on giving! 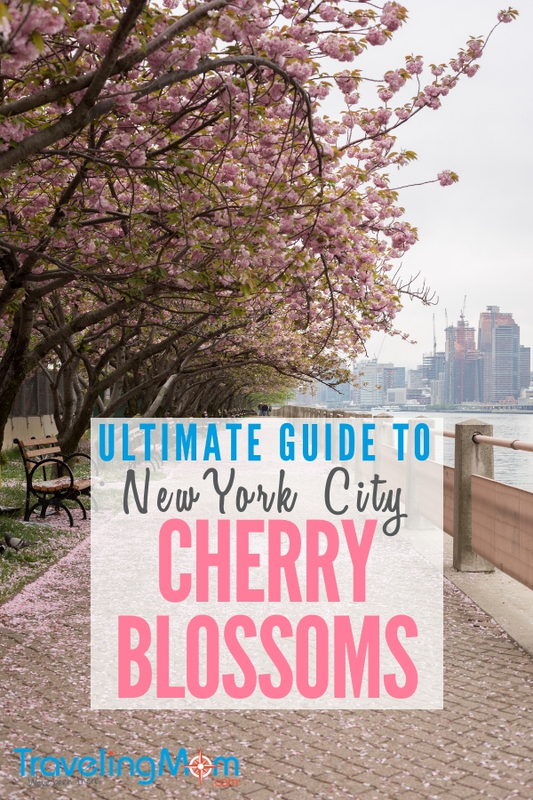 The closest parking lot to access the Cherry Walk is at 97th Street and the Henry Hudson Drive. Another batch of the gifted cherry trees thrives in Sakura Park, located close to Riverside Park at W. 122nd Street. This 2-acre park also features a ten-foot tall Japanese stone tori or lantern, a children’s playground, and outdoor performance space. Historic Green-Wood Cemetery covers 478 beautiful acres in Brooklyn, planted with plenty of mature spring-blooming shrubs and cherry trees. The cemetery offers two-hour historic trolley tours, so you can combine traditional sightseeing with your hanami. What’s the best time to see the cherry blossoms in Washington D.C.? Escape the crowds and check out Philly’s fantastic cherry blossoms! The trunk on this cherry tree is as interesting as the petals. 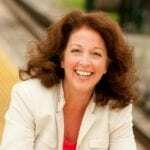 Photo: Judy Antell/TravelingMom with Pets.